Rosalind qualified as a Registered Osteopath with a First Class Honours BSc degree from the London School of Osteopathy in 2002, and she was invited to join the Stillpoint team just after qualifying in 2002. She also gained valuable experience at several other long-established local clinics. Her first degree is in Psychology and prior to becoming an Osteopath she started work in the voluntary sector in Manchester, London and Bristol, in a variety of roles including youth work and providing short-term counselling support in the community. Rosalind completed her post-graduate Osteopathic training with the Sutherland Cranial College and has been awarded the MSCC qualification. She has developed expertise in alleviating a wide range of musculo-skeletal complaints, including acute low back pain, headaches and joint pain, as well as treating pregnant women, new-born babies and children. She is often consulted by the whole family, so frequently sees three generations of the same family. 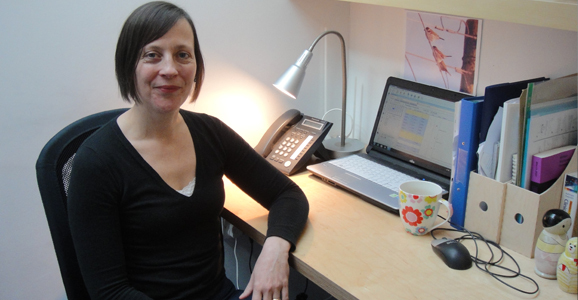 Having built a highly successful practice in Osteopathy at Stillpoint, Rosalind regularly gives talks and runs workshops for GPs in training, parents of new babies, midwives and other health professionals. She is often asked if physiotherapists, midwives and health visitors can attend her clinic as part of their training. She regularly updates her knowledge by attending post-graduate seminars as part of her Continuing Professional Development.